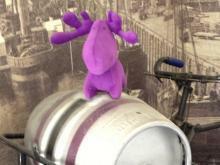 Purple Moose Brewery opened its doors in summer 2005, when Ffestiniog Railway volunteer, Lawrence Washington, spotted a gap – plenty of visitors to Ffestiniog's home town, the former slate port of Porthmadog, but no local brews to enjoy. Growing public demand for these delightfully flavoured beers has led to production quadrupling in size in recent years, and the visit offers a lovely chance to see a charming micro-brewery that is very much part of the community in the friendly town of Porthmadog. The 11th Welsh Perry & Cider Festival 2013 will host the International Craft Cider Festival at its new home, Caldicot Castel in Monmouthshire. As well as cider and perry from Wales and further afield, there will be live music, local foods and market stalls throughout the May Bank Holiday Weekend. Monday is designated the family day, with plenty of medieval games and activities. 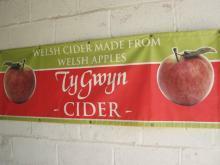 Situated on a large farm in the Monnow valley, Ty Gwyn has been growing cider apples on terraced orchards for around 40 years, where they've also been growing apples for Bulmers and blackcurrants for Ribena. In fact, it was a glut of apples that Bulmers didn't need, that eventually forced them to experiment with their own craft cider and they've not looked back since! 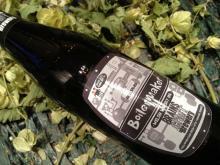 This little bottle can claim to be the first ever Welsh cider producer to achieve a Gold medal from CAMRA in 2004. It might have been a while ago now, but it's still doing well. A far bolder cider than its little brother Gwynt Y Ddraig Orchard Gold, reviewed here, it has a distinct Appletise nose, followed by some robust flavours and a full mouthfeel on the palate, ending in some stripy tannins on the tongue and a lengthy finish to boot. It's all about the zesty sparkle with this offering from Gwynt Y Ddraig (which translates from Welsh as 'the dragon's breath). 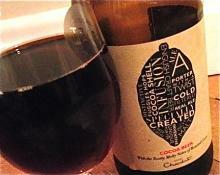 Sharp tangy bubbles hit the back of your throat, giving way to a crisp but fleeting aromatic apple aftertaste. This is a solid simple cider from the people at Blaengawney Farm and it's little wonder that it's built up a firm following (it's been given its very own Hallets Real Cider website independent of its producer). 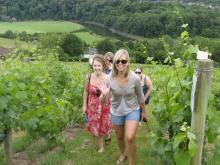 This year's Welsh award-winners, Parva Farm near Tintern is open every day during Welsh Wine Week. Picking up a silver in the 2011 International Wine Challenge, Parva has a treasure hunt for kids, self-guided tours of the vineyard and tastings, plus a guided tour on Thurs 2 June, 5.30pm (£5).